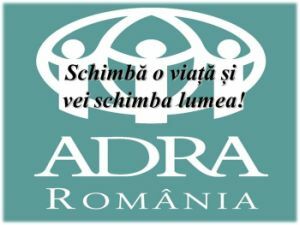 Versiunea tiparita (paperback), precum si versiunea e-book (Kindle) a cartii „Testament – Antonologie de poezie Romaneasca – Editia Americana” de Daniel Ionita este acum disponibila la Amazon! Testament-Anthology of Romanian Verse is the first comprehensive, and coherent collection Romanian poems in English, representing 160 years of poetry (from 1850 to the present day), covering over 120 poets and 150 poems. The anthology presents the poets in chronological order starting with Vasile Alecsandri, followed by Mihai Eminescu – Romania’s national poet – and the group of poets considered „the classics” Alexadru Macedonski, Ion Minulescu, George Cosbuc, Octavian Goga, Tudor Arghezi, Vasile Voiculescu, Lucian Blaga, Magda Isanos, George Bacovia, Zorica Latcu, Ion Barbu, Nicolae Labis, Ion Vinea, Ion Pillat. The 1960ies generation is represented through Nichita Stanescu, Ana Blandiana, Adrian Paunescu, Radu Gyr, Marin Sorescu, Ion Caraion, Gellu Naum. This is followed by poets consectrated in the decades of 1970-1980, for example Nora Iuga Leonid Dimov, Romulus Vulpescu, Virgil Mazilescu, Cezar Ivanescu, Mircea Dinescu, Ileana Malancioiu, Irina Mavrodin, George Tarnea, Petre Stoica, Dan Verona, Constanta Buzea, Daniela Crasnaru. 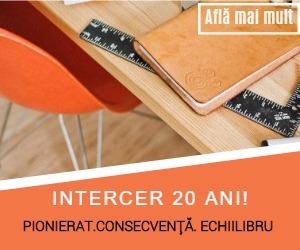 In covering contemporary poets, Testament include poets such as Adrian Popescu, Ioan Es Pop, Mircea Cartarescu, Daniel Banulescu, Lucian Vasilescu, Angela Marinescu, Marta Petreu, Horia Badescu, Florin Iaru, Cristian Popescu, Ion Stratan, Aurel Rau, Emil Brumaru, Mihaela Malea Stroe. Romanian language poets from the Republic of Moldova have not been forgotten, and the anthology includes most of the important ones: Grigore Vieru, Leonida Lari, Arcadie Suceveanu, Renata Verejanu, Arhip Cibotaru, Leo Butnaru, Nicolae Dabija, Dumitru Baluta, among others. The editor did not shy away from also selecting some younger emerging poets – for example Monica Manolachi, Andrei Paunescu, Mircea Dan Cipariu Erika Kantor or Laurentiu-Ciprian Tudor. This American edition also pays tribute to representative important Romanian poets who have, over the years, settled on the North American continent: Nina Cassian, Liliana Sarbu, Dumitru Ichim, Adrian Sangeorzan, Carmen Firan and Nuta Istrate-Gangan. Author and editor Daniel Ionita, who is also the principal translator, is himself an established poet having published works in both English and Romanian – Hanging Between the Stars(Minerva), ContraDiction (Pimm), The Island of Words from Home (Minerva). For this present volume he has been assisted by linguists and literary specialists Eva Foster (Oxford Falls College – Australia), Associate Professor Daniel Reynaud (Avondale College or Tertiary Studies – Australia) and Rochelle Bews (Deaking University – Australia). Daniel has been living in Australia and New Zealand since 1980, and teaches Organisational Improvement through the Business Practice Unit of The University of Technology Sydney. 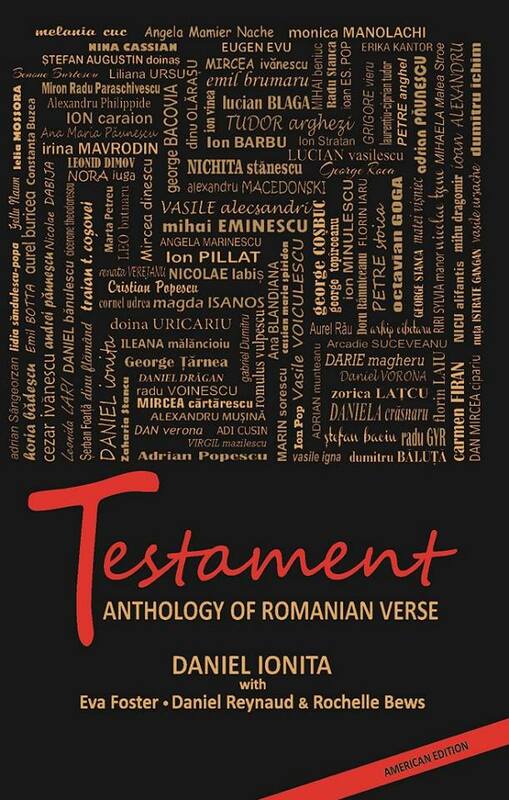 While based on Daniel Ionita’s earlier work, Testament – Anthology of Modern Romanian Verse (bilingual version English/Romanian), now at its second edition, published by Minerva Publishing House in Bucharest, Romanian in 2015 – this volume is a greatly expanded version. The earlier editions of Testament published in Romania, have enjoyed great critical acclaim, being highlighted by important literary critics in Romania, such as Alex.Stefanescu and Radu Voinescu – in the most important critical literature magazines such as Literary Romania (Romania Literara) and The Morning Star (Luceafarul de Dimineata). Commercial success, usually unexpected for poetry these days, also followed, with the first edition beying sold out – and hence the need for a second edition. The book launches (in Sydney, Bucharest, Brasov, Cluj) for these eariler editions have morphed into true literary-musical events, with artists such as Ion Caramitru, Manuela Harabor, Clara Voda, Ada Condeescu, Nicu Alifantis, Andrei Paunescu, Catalin Condurache, Sandy Deac and Adrian Ivanitchi performing works from the volume.